If you use any of the services below please consider following the links to make the purchases. Please use referral code E2QC9T when signing up and you will receive 200 MB for free. 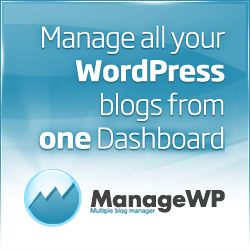 Manage all your WordPress sites from one place - including updates, backups, security and more. Over 3,000 pool cues, pool cue cases and billiards accessories, it's no wonder that PoolDawg is the pool player's best friend. An authorized retailer of 50+ leading brands of pool cues and cue cases, PoolDawg is the ultimate billiards destination for safe, secure, guaranteed shopping. PoolDawg - Loyally Serving Pool Players Since 2003. Pretty Link Pro is a Plugin for WordPress that will enable you to shrink, cloak, track, organize, share and test all of your links on your own domain. The best WordPress hosting for your website. Premium hosting from WP Engine provides excellent uptime, fast servers and the most secure WordPress host available. KeyCDN is a good Content Delivery Network that allows for the pay by usage model. Thank you in advance for any clicks.